1 of 3 Heat oven to 425 degrees . In a small bowl, whisk vinegar, oil, mustard, salt and pepper. Toss tomatoes and garlic with 2 tbsp of the dressing. 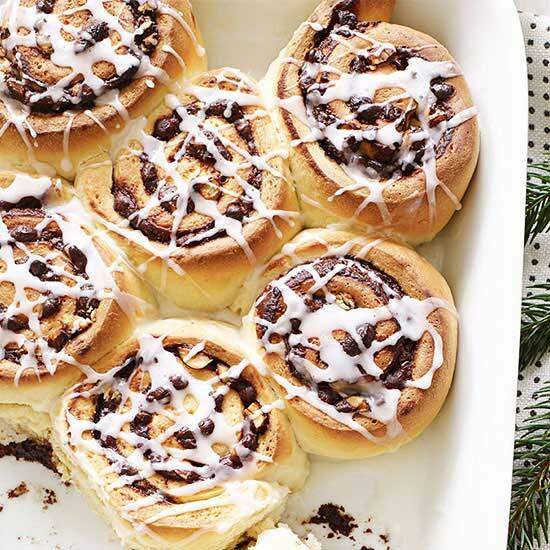 Spread onto 2 rimmed baking sheets. Roast at 425 degrees for 20 minutes, shaking pans halfway through to turn tomatoes. Cool slightly. 2 of 3 Heat grill or grill pan to medium-high; if broiling, increase oven temperature to broil. Slice bread lengthwise into 1-inch planks. Spritz with nonstick cooking spray. Grill or broil bread 2 to 3 minutes. Turn over and grill or broil 2 to 3 minutes more, until toasted. Cut into 1-inch cubes. 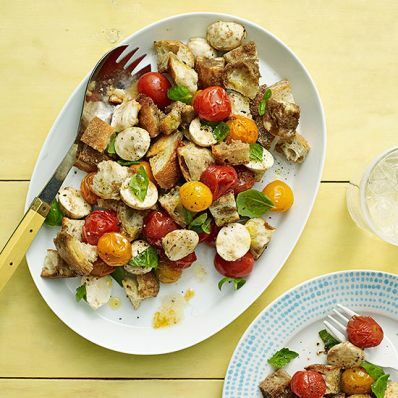 3 of 3 In a very large bowl, combine bread cubes, tomatoes and sliced garlic, mozzarella and basil. Drizzle with remaining dressing and gently toss. If making ahead, keep all salad components (including dressing) separate until just before serving. Per Serving: 7 g pro., 2 g fiber, 24 g carb., 5 g sat. fat, 349 mg sodium, 54 mg chol., 15 g Fat, total, 263 kcal cal.